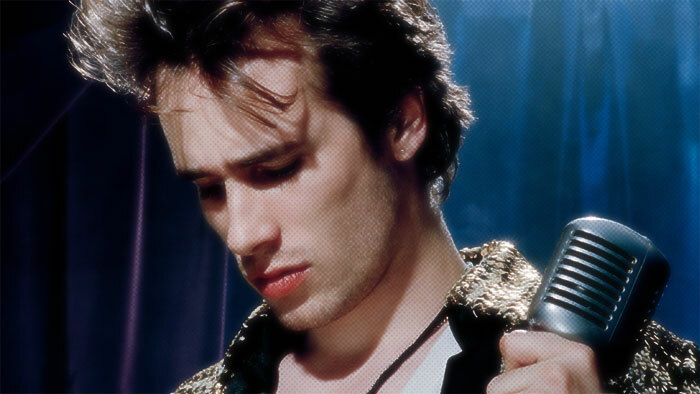 Vocal Pluses: Jeff Buckley possesses an instrument of medium weight, that is brightly coloured, with dexterity and stamina to hold notes for extended periods of time without signs of fatigue or effort. He has the skill and musicality to fluidly execute complex melismas and trills [Mojo Pin] through the range. The lower register extends down to the upper half of the second octave, however, this is where the voice struggles most noticeably. In terms of texture and colouring, Buckley’s lower register is naturally foggy and less projected, as well as darker, than the rest of his voice [Dream Brother]. The fogginess of his lower register was shown to still be effective in conveying emotions such as melancholia and sadness or to accentuate the tension and drama, depending on the lyrical content. As the voice climbs higher, towards the midrange, it receives the distinctive, raw character Buckley’s been famed for. The chest voice is elastic, bright and warm with a unique tinge to it. It possessed a versatility that allowed him to sing in a gospel-inspired legato manner [A Satisfied Mind], or with a softer tone when needed [I Know It’s Over]. Whether used in isolation or mixed with head voice, Buckley wielded this area of his voice with the general sense of ease and freedom. The mid-belts could either be clear and smooth [Eternal Life], or edgier, throatier, with his trademark narrow vibrato [Lover, You Should’ve Come Over]. When blended with head voice, Buckley could carry the character and dexterity of his chest voice up until the upper half of fifth octave, creating a gritty but piercing sound- such as in the climax of Grace, where he belts out a G#5, or multiple fifth octave belts in So Real. The head voice and falsetto were areas in which he displayed great proficiency, ease and stamina, allowing him to switch between the registers without any effort [So Real]. The skill and comfort in this vocal area allowed him to sing entire songs in high falsetto [Corpus Christi Carol]. Corpus Christi Carol also revealed his ability to manipulate the tone of his falsetto, floating smooth, bright and airy E5’s, that contrasted with his usual darker, more cavernous timbre [So Real]. Overall, Buckley was an emotive singer. He possessed an instantly recognizable tone, which was used as an engine to express the different emotional aspects of his music, thus managing to create a distinctive, slightly ethereal vocal style that has retained its recognition until today. Vocal Negatives: Despite the emotional strength of his throaty upper belts, the vocal strain was often evident in a live setting, where the mentioned notes sounded pushed, pulled and at times, thinned out. Vibrato also sounded forced at times, being achieved through questionable vocal means, such as jaw shaking. Thanks to Baby Blues for compiling the profile !